Despite Fairy Fencer F having been around since 2013, there are still a fair amount of JRPG enthusiasts who have passed on it. Idea Factory has done well to make it as widely accessible as possible, but re-releasing the same game isn’t the best tactic, compared to Neptunia where it’s had a plethora of games and spinoffs with a great cast of characters that are memorable in design and charm. One of Fairy Fencer F’s biggest drawbacks for me has always been that the main character, Fang, is extremely unlikeable. 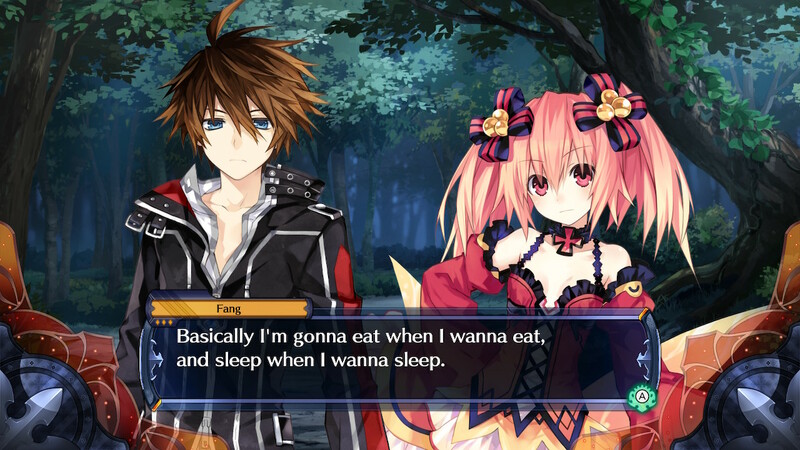 It’s part of his character to be lazy and a rebel, sure, but there are no redeeming qualities at any point for him throughout the story of Fairy Fencer F, regardless of which route you take in Advent Dark Force. The premise of Fairy Fencer F is that Fang, while in jail, gets bailed out by Eryn, a fairy that ends up being Fang’s partner by force. She drags him along to help gather a ton of other weapons and fairies known as Furies, and in doing so he becomes a Fencer – someone who tames the weapons and has fairies for partners. You kind of see where the game’s name comes from at this point. As they meet other Fencers throughout, they find themselves amidst a centuries old battle between two deities, both which created and are responsible for the furies that exist today. As the Fencers search high and low for the weapons to make themselves more powerful, they themselves are faced with tough decisions as to what the power should be used for, and what collecting them could actually mean between the battle of Gods. 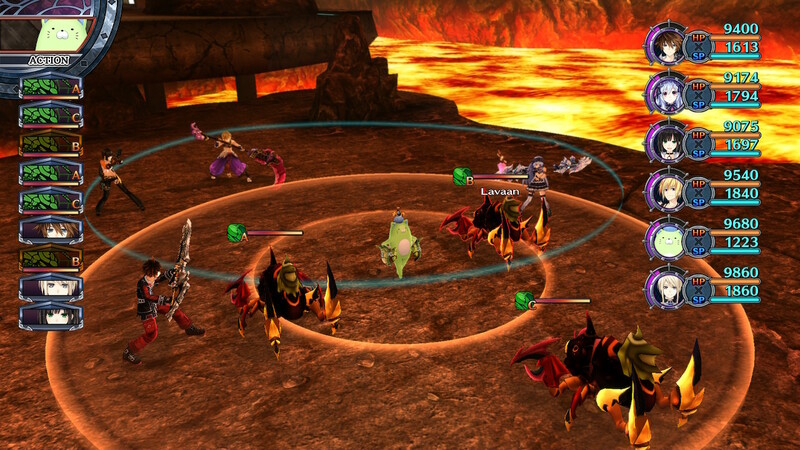 Battles in Fairy Fencer F: Advent Dark Force are much larger with a maximum of six Fencers out on the field at once, and having double that on screen at once in battle. Things can get hectic once the small space gets crowded, but it makes for some really cool combos and satisfying attacks when area-of-effect moves cover as much of the arena as possible, taking out multiple enemies at once. Powers and battles can be taken even further than what you’ve equipped by activating Fairize, which causes you to combine your power with your fairy’s and look like a pretty cool Gundam and Super Sentai crossover sprinkled with some God Eater. Outside of each Fencer’s main fairy partner, you can equip other fairies you come across. These are presented like trading cards with a rank and level that also have stats of their own that influence the Fencer being equipped. The biggest advantage to these isn’t so much the stat boosts as it is the passives and buffs each fairy gives. As one can imagine, with many different Fencers, skills and styles, some Fairies will benefit some more than others. As if the dungeons themselves aren’t bad enough with extremely flat textures and low resolution garble and distortions, it’s the battles that really make you want to pull your hair out when it comes to the performance and visuals of it all. Every movement is more chopped than diced onions, the draw distance extends to about as far as you can throw a 20kg medicine ball, and battles feel longer than a TED Talk about dirt. Oddly enough, however, whenever you initiate skills, the animations in a quick cutscene are all in 60 frames per second. I’m not sure what happened here to make it run smoothly, but it’s night and day when this happens. It’s incredibly infuriating, especially since the visual novel segments themselves look fine, and the menus run mostly well and are crisp with the art and colors really shining on Switch’s tablet screen when in handheld mode, only to be defiled by its actual gameplay portions. To make matters worse about the whole situation, I was lenient about waiting for the day one patch in order to without a doubt see improvements that should have been perfect already in its 1.0.0 build, but it did not seem to have a noticeable effect. The only difference I saw was that, pre-patch, the opening video of Fairy Fencer F was completely off frame, with text and character portraits having gone into nihility. 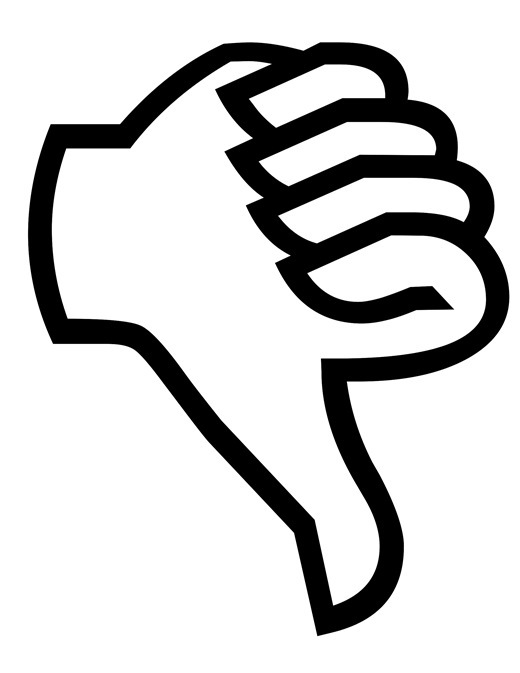 After the patch, the video was once again a video instead of a failed arts and crafts project. Switch has had some bad ports pop up since its launch in 2017, and while many factors play into why this is typically the case – unfamiliarity with the system for new developers, engines being incompatible, etc. – it’s truly a shame that games that deserve a second chance and a broader audience end up dead on arrival thanks to a lack of attention and the need to “just get it out” for the sake of saying, “Look! It’s on Switch!”. 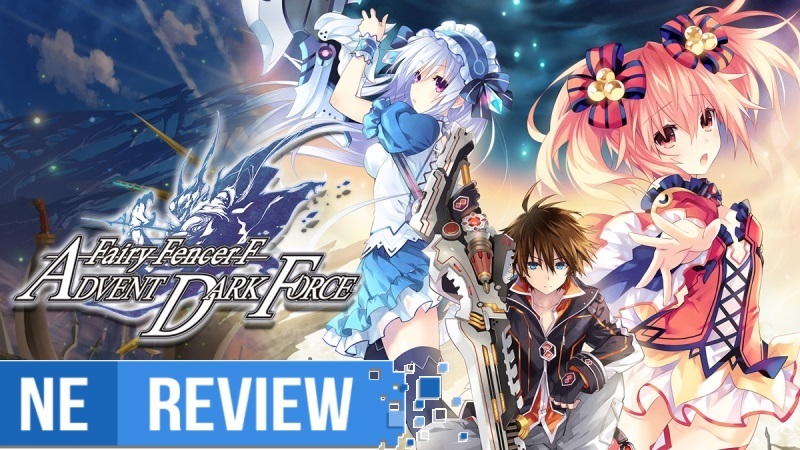 Fairy Fencer F: Advent Dark Force isn’t the worst thing the Switch has seen, but it certainly creeps into the ballpark of the likes of WWE 2K18 and Troll & I—both of which should have been recalled like the Note 7. There is absolutely no excuse why Fairy Fencer F should be in the condition it is in especially when we’ve seen what the Switch is capable of, which is a lot of incredible stuff. Outside of a ton of Otomate titles planned for Switch, Fairy Fencer F: Advent Dark Force is the first actual game for Idea Factory on Nintendo’s hybrid console, and it’s not a good debut. This could slide under a lot of people’s radars (again), and it probably won’t affect Idea Factory and Compile Heart as big as I’m making it out to be in terms of brand recognition and loyalty, but Neptunia has a set of standards with a fanbase that loves Nep-Nep and Co., so if the Switch portion of that fanbase receives a product that is subpar and borderline unplayable, it won’t go unnoticed or without detriment. Fairy Fencer F: Advent Dark Force took a good game and made it even better by implementing tons of quality-of-life improvements and including all DLC from its base release years prior. Unfortunately, the Switch version not only doesn’t do it justice, but ruins the overall appeal thanks to its severe performance issues. It’s a jarred mess that’s made even more perplexing by the fact that this is not a demanding game to begin with, seeing as it’s using the same engine as Hyperdimension Neptunia; and those ran perfectly fine on the PS Vita – a handheld that is much more underpowered. If you’re playing Fairy Fencer F for the first time on the Switch, I deeply apologize. It is a good game, but in its current state on Switch, this should come with a warning sign before purchasing on the eShop. You should do yourself a favor and stay far away until it becomes more of a game and less of a slideshow. Fairy Fencer F: Advent Dark Force review copy provided by Idea Factory for the purposes of this review.